Ron Paul is a member of the U.S. Congress (R) representing the 14th District of Texas. This Texas Straight Talk was first published on April 26, 2010. Lately many have characterized this administration as socialist, or having strong socialist leanings. I differ with this characterization. This is not to say Mr. Obama believes in free-markets by any means. On the contrary, he has done and said much that demonstrates his fundamental misunderstanding and hostility towards the truly free market. But a closer, honest examination of his policies and actions in office reveals that, much like the previous administration, he is very much a corporatist. This in many ways can be more insidious and worse than being an outright socialist. Socialism is a system where the government directly owns and manages businesses. 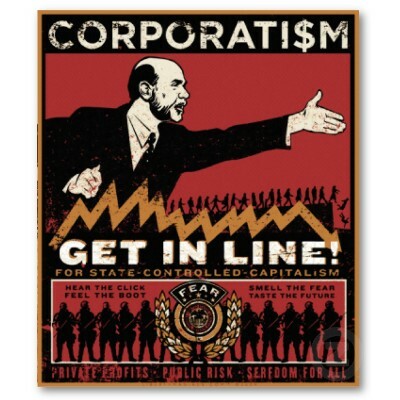 Corporatism is a system where businesses are nominally in private hands, but are in fact controlled by the government. In a corporatist state, government officials often act in collusion with their favored business interests to design polices that give those interests a monopoly position, to the detriment of both competitors and consumers. A careful examination of the policies pursued by the Obama administration and his allies in Congress shows that their agenda is corporatist. For example, the health care bill that recently passed does not establish a Canadian-style government-run single payer health care system. Instead, it relies on mandates forcing every American to purchase private health insurance or pay a fine. It also includes subsidies for low-income Americans and government-run health care “exchanges.” Contrary to the claims of the proponents of the health care bill, large insurance and pharmaceutical companies were enthusiastic supporters of many provisions of this legislation because they knew in the end their bottom lines would be enriched by Obamacare. "To call the President a corporatist is not to soft-pedal criticism of his administration. It is merely a more accurate description of the President’s agenda." Similarly, Obama's “cap-and-trade” legislation provides subsidies and specials privileges to large businesses that engage in “carbon trading.” This is why large corporations, such as General Electric support cap-and-trade. To call the President a corporatist is not to soft-pedal criticism of his administration. It is merely a more accurate description of the President’s agenda. When he is called a socialist, the President and his defenders can easily deflect that charge by pointing out that the historical meaning of socialism is government ownership of industry; under the President’s policies, industry remains in nominally private hands. Using the more accurate term―corporatism―forces the President to defend his policies that increase government control of private industries and expand de facto subsidies to big businesses. This also promotes the understanding that though the current system may not be pure socialism, neither is it free-market since government controls the private sector through taxes, regulations, and subsidies, and has done so for decades. Using precise terms can prevent future statists from successfully blaming the inevitable failure of their programs on the remnants of the free market that are still allowed to exist. We must not allow the disastrous results of corporatism to be ascribed incorrectly to free market capitalism or used as a justification for more government expansion. Most importantly, we must learn what freedom really is and educate others on how infringements on our economic liberties caused our economic woes in the first place. Government is the problem; it cannot be the solution.